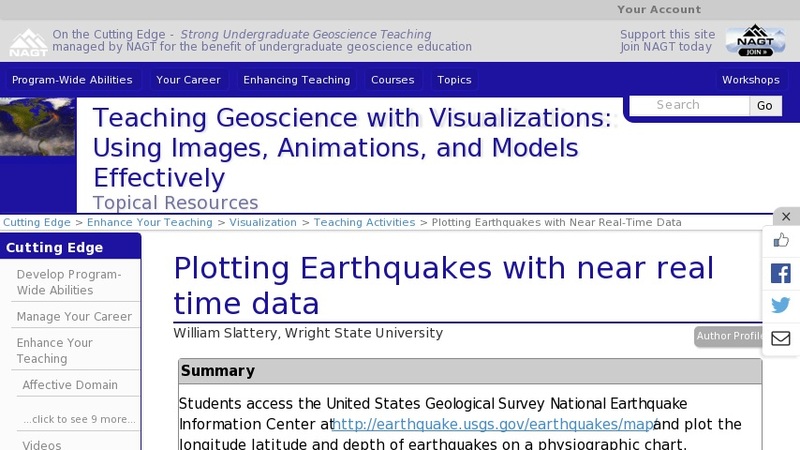 This activity only requires access to the internet to link to the United States Geological Survey National Earthquake Information Center website and a physiographic chart of the world that has longitude/latitude. Several scientific supply houses sell such physiographic charts. Students plot weekly earthquake data from the NEIC website for several weeks, then work in groups to explain the results.